If you haven’t seen Big Hero 6 yet, then you should schedule a kids bonding night and watch it. I highly recommend this movie to all families!The movie is full of depth and will be enjoyed by both parents and children. My kids were very excited to see Big Hero 6, I wasn’t too sure that it was my kind of movie. From seeing the previews I thought I would see a big balloon like snowman., Baymax, prancing across the stage and I could not have been more wrong. By the end of the movie I wished that Baymax existed in real life, you can’t help but love him. We loved that the movie! The movie encourages boys and girls to build, imagine, and create. The movie promotes STEM related learning and glorifies robotics as a field to enter into. The characters were diverse and well thought out. They showed common and complex human emotions such as fear, joy, love, grief, desire, triumph etc. The best part of the movie is that Hero, the main character is an amazingly talented cool kid. Being smart in this movie is celebrated. I loved that hero wasn’t a perfect kid, he had his faults but over all he wanted to make the right decisions. After my girls and I watched it together, they said, “Mom, I want to see it again!” Big Hero 6 is not only great to see in the theater but it’s a movie that I would add to our families’ DVD collection as well. 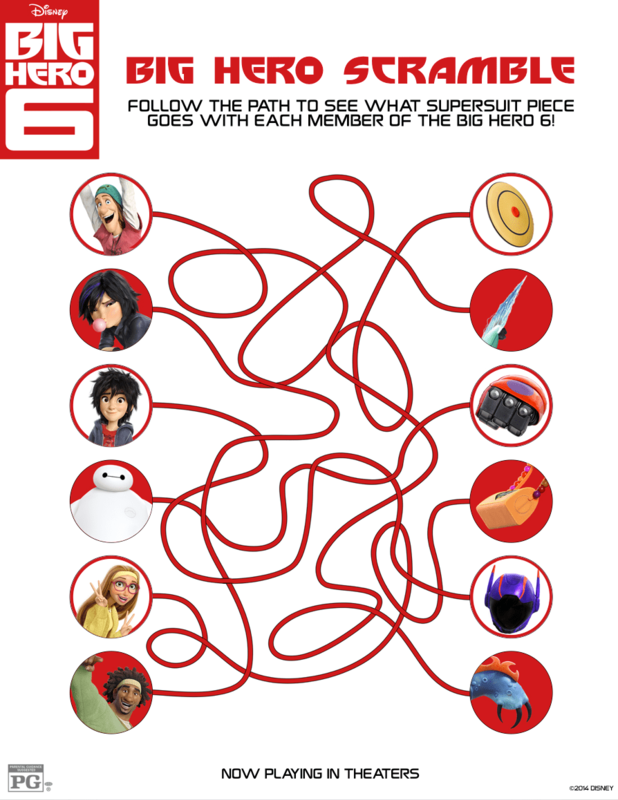 BIG HERO 6 is now playing in theaters everywhere! Click on the image to download the free printable. 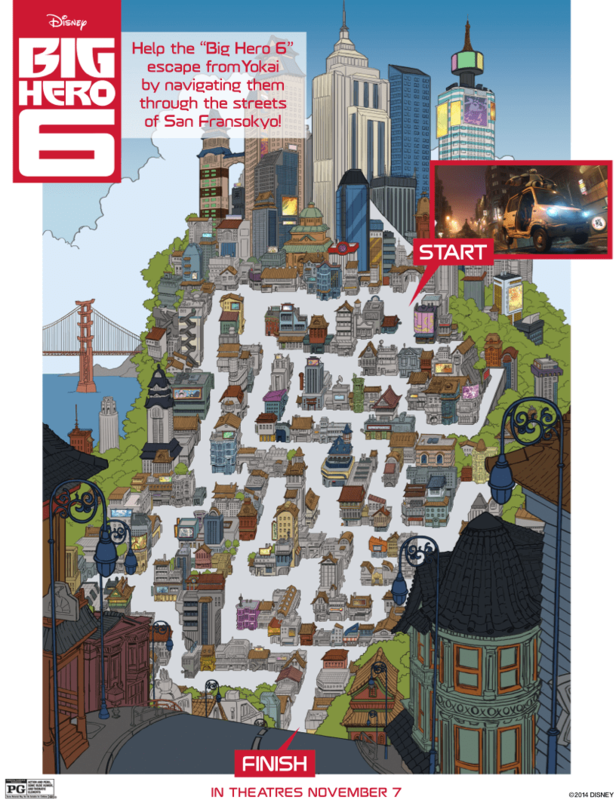 Reader Response: If you download some of the Big Hero 6 activities, please let me know how much your kid’s enjoyed them in the comment section. Previous PostSt. Jude Children’s Research Hospital – Is More Than Just a HospitalNext Post Is Parenthood Working for Your Marriage?